Next time you are at Hillarys Boat Harbour do yourself a favour and grab a Chilled Froyo - eat it in store or take it out into the sunshine to enjoy by the waters edge. 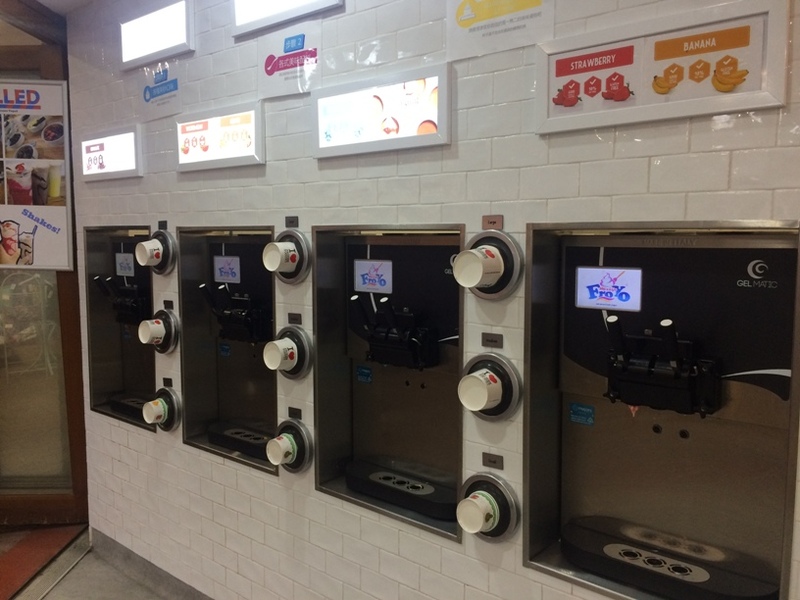 The fun of Chilled Froyo is that you get to create your own frozen yoghurt masterpiece. Firstly you choose and pour your yoghurt flavor into your cup. You can be as naughty or as good as you like with flavours ranging from crazy blue bubblegum (as you can see above my son made a beeline for) to a healthier dairy free or sugar free flavour. Pick one flavour or mix it up and choose two or more. Next you can choose your toppings and place them on top of your yoghurt. Once again you can be as naughty or good as you like with toppings ranging from coconut, fruit & muesli to nerds, oreos & sour worms and lots more. There is also a range of syrups to top your yoghurt for some added yumminess. Once you've finished your creation it's time to weigh and then pay. 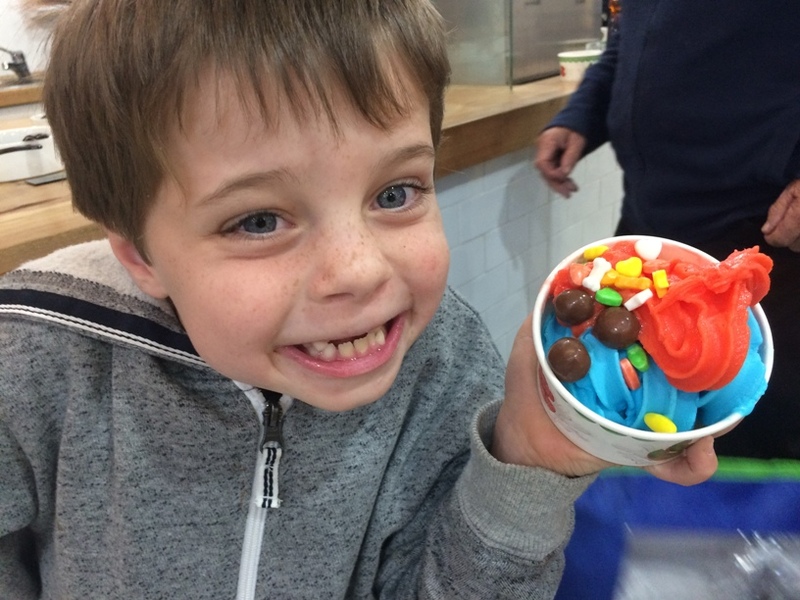 We were surprised at how affordable our Chilled Froyo was, both the boys had two yoghurt flavours and piled their froyo high with toppings and it came to around $5 each. You can sit down in store or take your froyo beachside to enjoy some sunshine. 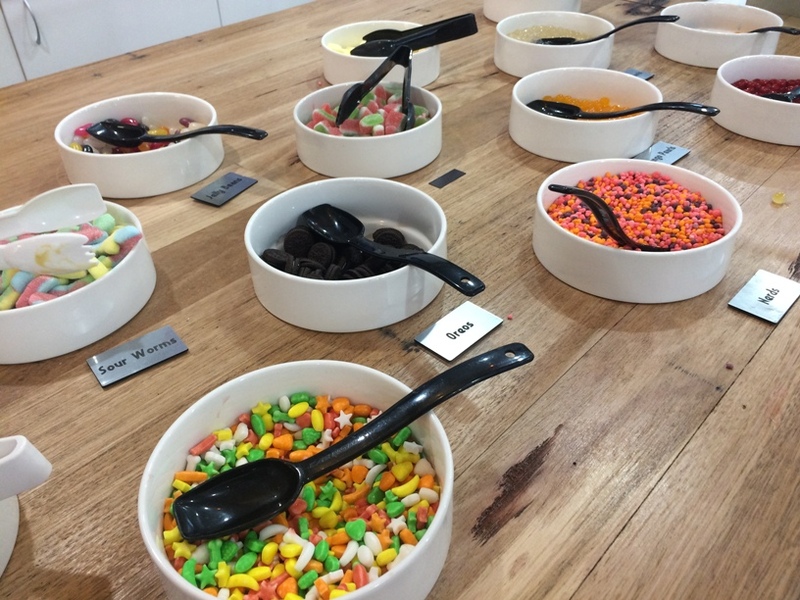 Chilled Froyo Hillarys is not just frozen yoghurt. You can grab a hot coffee or hot chocolate starting from $3.50. 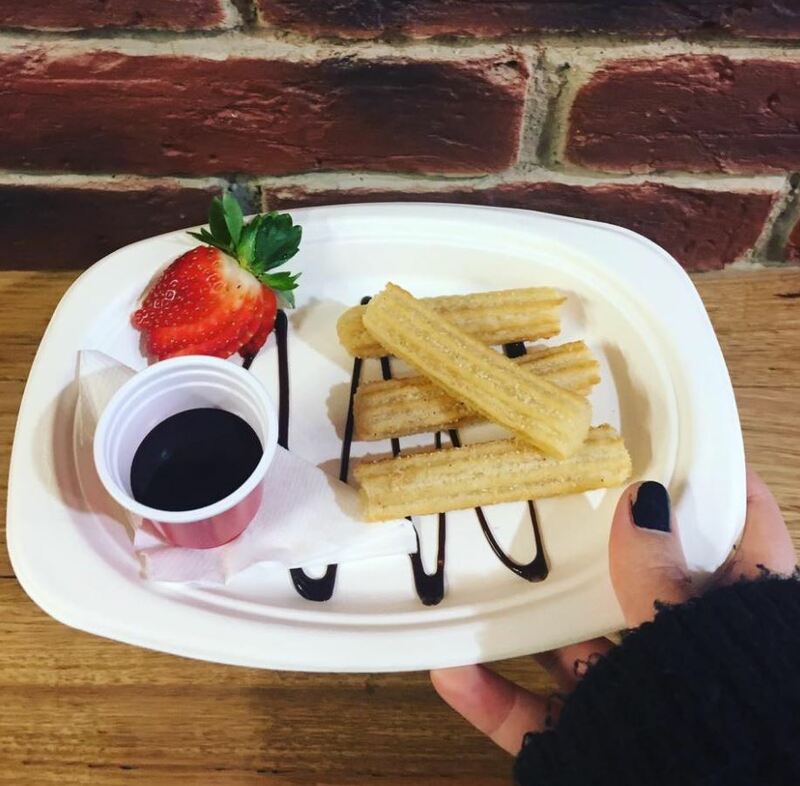 They do air fried churros that are healthier and cheaper than a certain other Hillarys Boat Harbour churros retailer. We love grabbing a Chilled Froyo all year round. It makes an affordable treat to combine with a play at the playground or after a swim during the warmer months. 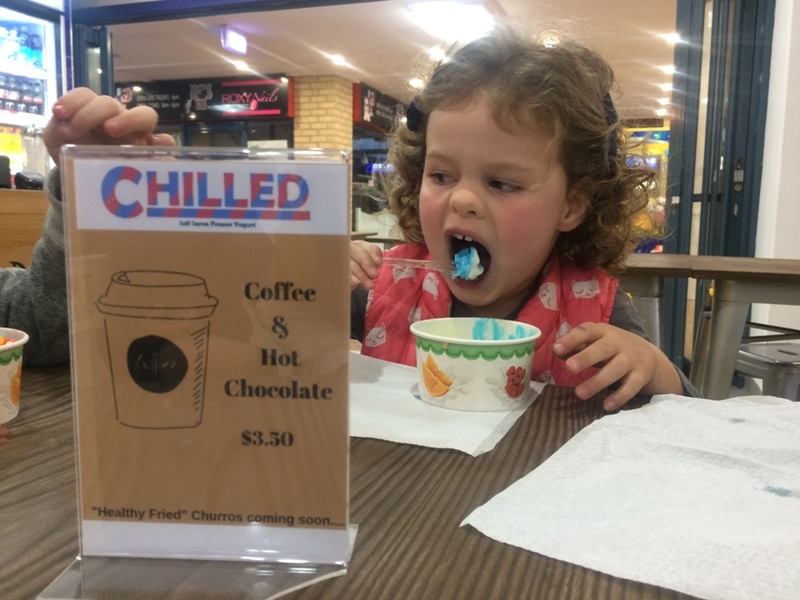 You can find Chilled Froyo on the southern side of Hillarys Boat Harbour, not far from the beach and playground.